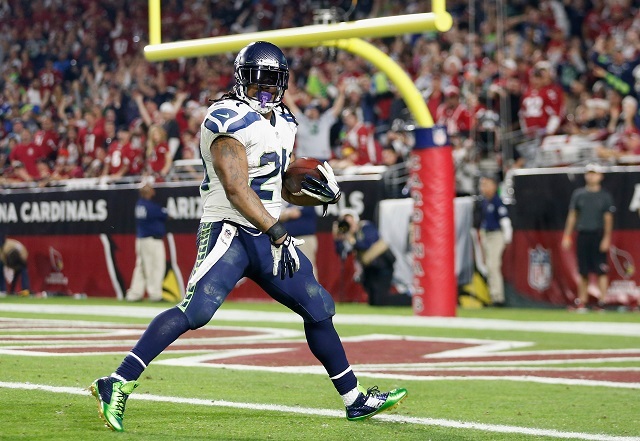 During the 2014 Regular Season, the Seattle Seahawks had their way with the Arizona Cardinals in Week 16, the 35-6 score belying the fact that they notched five touchdowns on a franchise-record 596 total yards. In case you’re suffering from distraction on account of a busy grill sesh or the like, we’ll remind you that a football field, end to end, is 100 yards long, which means that, in a half-hour of possession, the Seahawks were able to march up and down it nearly six times. That was helped by the fact that the team averaged nearly nine yards per play, according to ESPN. While this was a record for Seattle, it is far from the highest yardage ever seen in the post-merger NFL. Thanks to Pro-Football-Reference, we were able to dig up the most impressive offensive performances in NFL history — after the merger, natch — but we’ve got one requirement: Since the Seahawks broke their record in the standard allocated time, we disallowed overtime games from the list. Even though professional football’s overtime doesn’t have to net a team any extra yardage, we thought it’d be more interesting to see which teams could put down the hammer in regulation. As with the Seahawks, Detroit’s 2013 victory over the Dallas Cowboys doesn’t come with a score you might expect from a game that saw Calvin “Megatron” Johnson rack up 329 yards, but by looking at the box score, it’s plain to see that Matthew Stafford and company were having some serious trouble converting all that offense into points on the board. 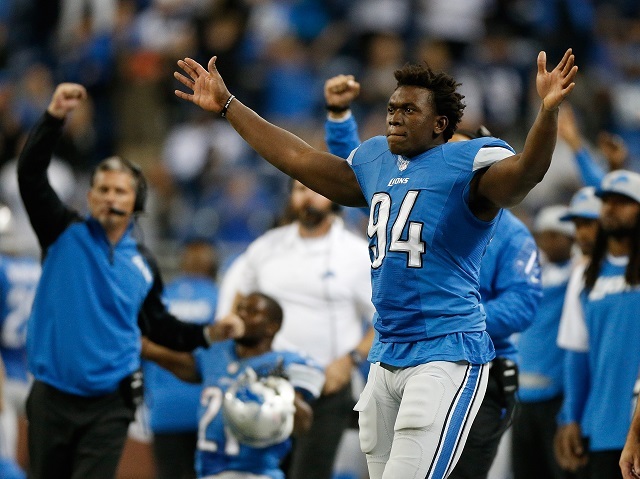 The Lions barely scraped by with a one-point victory, complete with a furious comeback in the fourth quarter. Depending on the time of day and the tides, and whether Mercury is in retrograde (or whatever), Drew Brees is either the best quarterback in the NFL or simply one of the best quarterbacks in the league. On November 10, 2013, Breesus was playing at the peak of his ability, throwing four touchdowns for 392 yards. That was bolstered, though, by Mark Ingram and the Saints’ running game, which notched more than 200 yards in total — Ingram was responsible for 145 of them on just 14 carries. Same song, second verse. Because this game was against the Lions, it evolved into a serious shootout: Stafford tallied 380 yards and three touchdowns, while Brees once again put down a convincing case for his stellar reputation, going for 466 yards and three touchdowns of his own. 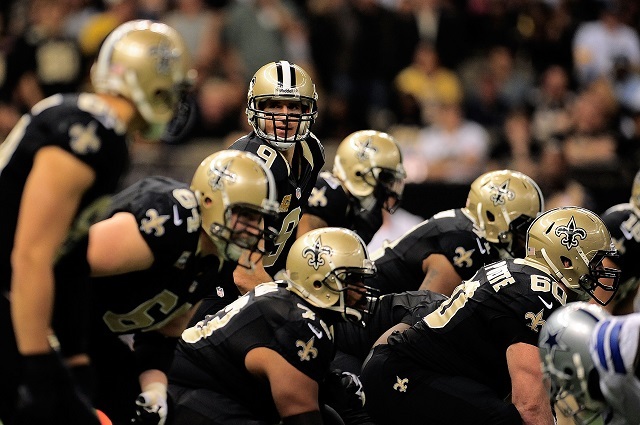 The difference, just like the last exmaple, was in the rushing game — the Saints’ ground game was able to tough out an additional 160 yards. 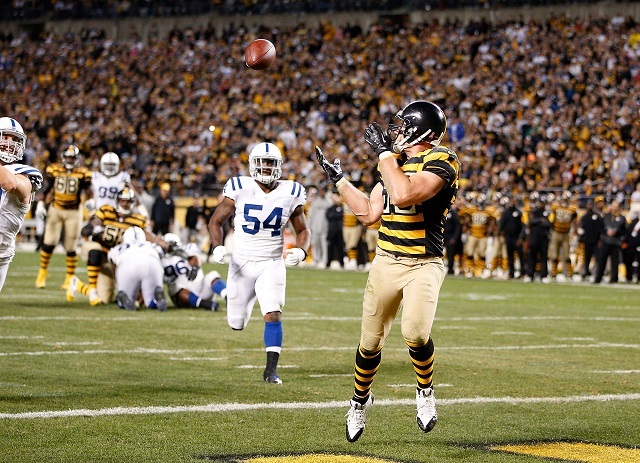 Wearing their hideous throwback uniforms, the Steelers put on a decidedly modern display of how to stomp another team in the NFL with their late-October victory over the Indianapolis Colts during the 2014 season. A 51-34 victory is rough enough, but when more than 500 of your team’s yards come from the quarterback, who also happens to throw six touchdowns with nary an interception in sight, you’re looking at one of the best displays of a professional-grade offense ever. 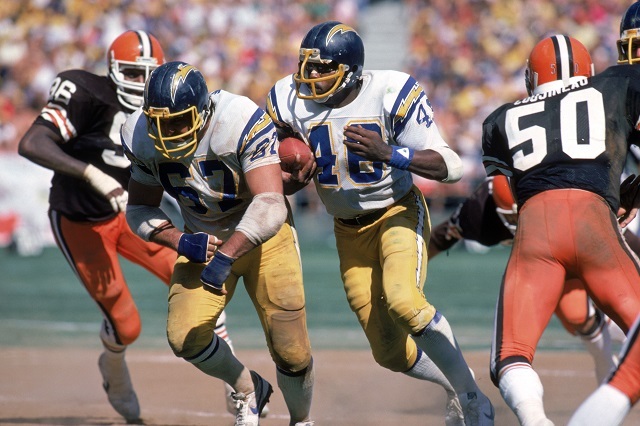 The least modern team is still the best in terms in total yardage, as the San Diego Chargers, featuring Kellen Winslow — not the Kellen Winslow you’re thinking of, but this one — dropped close to 700 yards on the Cincinnati Bengals all the way back in 1982. You can check the box score here. It’s another one of those games that reads, after the fact, like something that should’ve been a much larger blowout than it was. To the Chargers’ credit, though, the Bengals did approach the 500-yard marker on their own, even though they lost by 16 points. For the complete list of the highest yardage totals in modern NFL history, click here.